If you spent hours at the end of last year hanging on to every word of Christopher Goffard’s Dirty John podcast, you're not alone — and you're in luck. The podcast, which told the story of “Dirty” John Meehan and his abusive and manipulative relationship with businesswoman Debra Newell and her family, was played over 10 million times within six weeks of release, and was widely-praised by critics. Now, Dirty John is about to hit the small screen as a scripted Bravo drama series created by Alexander Cunningham and starring Connie Britton, Eric Bana, Juno Temple, Kevin Zegers, and Julia Garner. Ahead of November 25 premiere, we chatted with Zegers, who plays Debra Newell’s nephew Toby, about the responsibility of playing a real-life character in a true-crime story, how the series is different from the podcast, and more. Some of Debra’s family members have been changed on the show, but what role does her nephew Toby play, both in real life and on-screen? 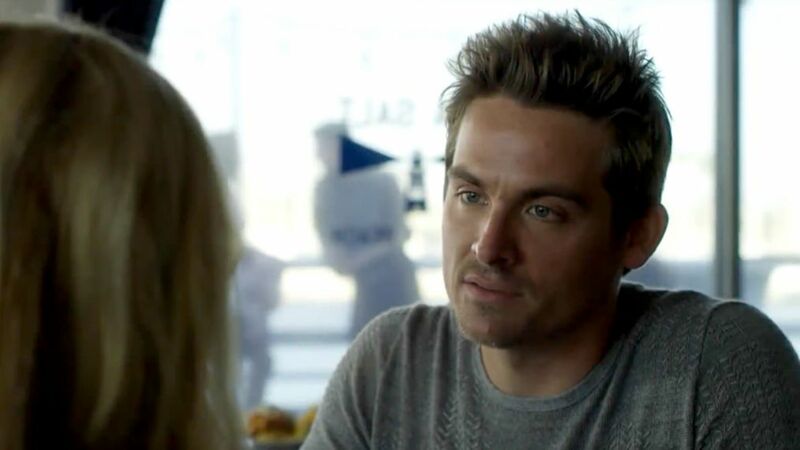 Kevin Zegers: His name is Shad in real life, but on the show, you meet Toby in, I think, the second episode. You’ll hear a ton about his backstory as the story unfolds, but Debbie sort of raised him; he’s kind of her third child. His mother passed away when he was very young, and Debbie, being a nice woman, helped him through a troubled time. When you meet him you can sort of see that. I think Toby and Debbie have probably as close a relationship as that of Debbie and her kids. He’s very supportive of her in an un-possessive way, in a way that her daughters aren’t. I think her daughters are a bit more invested in what’s going on with her all the time, and Toby is a very sweet, simple guy. When he meets John, he’s excited because she seems so happy, and because of how much she raves about him. He’s actually less suspicious of John [than Debbie’s daughters] at the beginning, just because he sees how happy she is. Just from reading about the case, we know that the relationship between Debra’s nephew and John eventually changes a lot, and it becomes a turning point for John and Debra. What can you say about this? I think that, now that you’ve seen the first episode, you can tell that her daughters are already becoming suspicious of John — more so Juno’s character than Julia’s. But Toby is on board with him at first and there’s a big sequence with them getting to know each other. Then, as it unfolds, Toby is the first one that takes action to find out what’s really wrong with this guy. I don’t know whether Toby feels that’s he’s dangerous, but his idea is to start doing a little bit of research about John, and that’s where the ball starts rolling. And then there’s, obviously, a lot of confrontation. But Toby feels very protective of Debbie in an “I’m a man and I need to take care of the woman who raised me” way. She’s a maternal figure to him, and when he starts to smell that something’s off, he starts doing what he can to protect her. What was your first impression of the case? How much did you know about the story before you started working on the show? I didn’t know anything! A bunch of my friends had talked about it, and I knew of it, but once I got the script for the pilot episode, I listened to the podcast and then was on-set within a week-and-a-half. I think I was probably one of the last additions to the show. By the time I had read the script and spoken to them, and listened to the podcast, I was in a wardrobe fitting in a couple of days. Even just from watching the pilot, you pick up on John’s little quirks, and can already tell there’s something off about him. What was your take on Dirty John just from reading that first script? 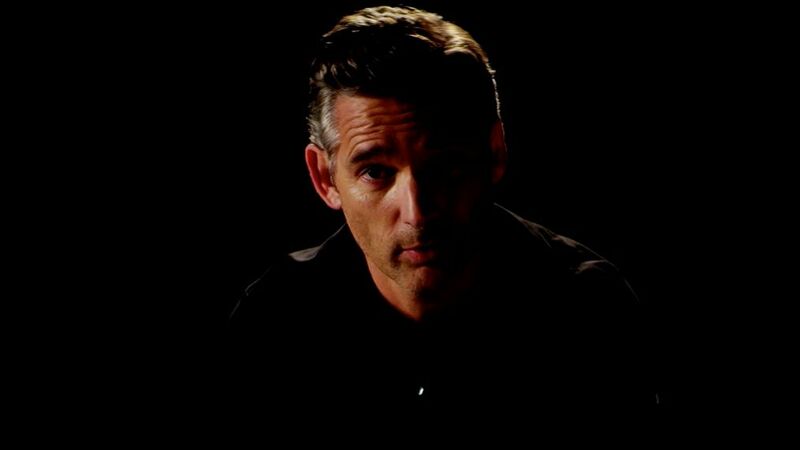 I think the reason that people are so intrigued by Dirty John's story is that, at least outwardly, he is not surrounded by people who should be conned or worked over so easily. These are successful, affluent people. And Eric [Bana, who plays John] has been one of my favorite actors since Chopper, where he plays a very dirty, slimy guy. My introduction to Eric was him playing that completely sociopathic guy. I think part of it is that, in order for this to work, the guy needs to be a lot of things. In order to manipulate as many people as he did, he needs to be very intelligent, he has to be not just physically attractive, but charismatic, and operate in a way that will make people buy his bulls**t. I think casting was the biggest question mark with this thing, because it’s kind of like, how do you do this without it being soapy, or without it seeming silly or trivial? Does it add a new level of responsibility to play a real-life person, especially in a true crime story? The strange thing about playing a real guy in [Dirty John] is that this didn’t happen that long ago. There’s not even the ability to have some perspective. This guy is similar in age to me. It’s all very fresh, and so the challenge, I think for all of us, is to not do them a disservice, but to also make artistic choices that make the show work. Obviously, some names have been changed, but Toby, or Shad in real life, is the sweetest of the bunch. He’s the one who tries to keep everyone together and happy. And so rather than trying to get into the physical mannerisms of him in real life, I was just asking myself, what was his role in the family? Why is he so loving toward this woman? A lot of that is just sort of trying to, as an actor, figure out how to find your way into the story. Just figuring out where he as a character fits into the story, and therefore, where I as an actor fit in with this group of people. For those who are already familiar with the case from the podcast, how do you think watching the show will change their perspective? The most interesting stuff to me is the question of how does this happen? Like, why was this woman and this family the perfect victims of a guy like John? Getting into that makes the script and the story so compelling. There’s a lot of things that make people vulnerable to a person like this... They’re not as dismissive of bad behavior as people think they should be. Getting into the nitty-gritty of that stuff is what I found so compelling: how could this happen to people who seem so with it? And that’s what requires so much out of Juno and Julia and Connie as actors. If we’re just doing a murder story, then you don’t need Julia Garner to do that, you know what I mean? There’s a lot of subtext to these people. That’s the reason they got burned so badly.